The job market for people with information technology skills is strong these days. Employers lament they're having trouble finding enough I.T. workers, forcing up wages and benefits. That strong demand could help shrink the big gap in employment and wages between whites and minorities in Minnesota. Driven by cloud computing, big data, the "Internet of things," and mobile computing, computer and information technology jobs are projected to grow 12 percent over the decade that will end in 2024. The value of I.T. 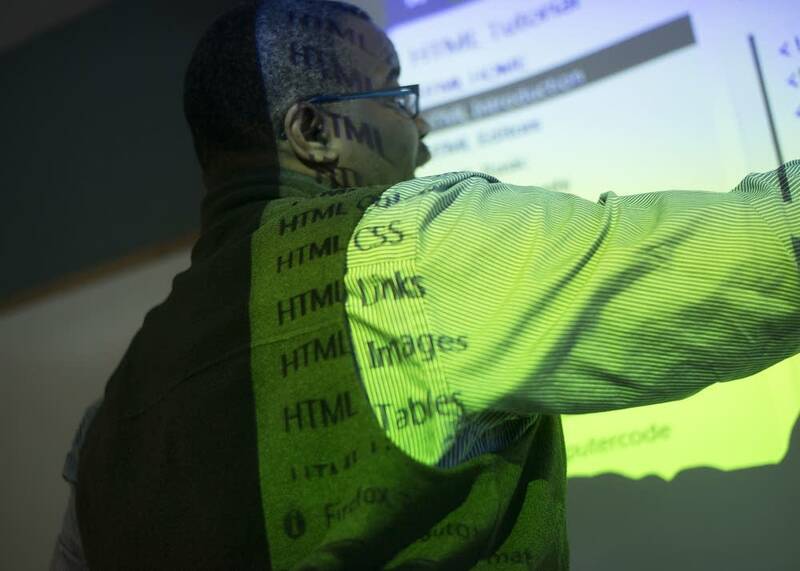 jobs to both employers and workers is so great, there are at least six non-college programs in the Twin Cities that train people to develop software. 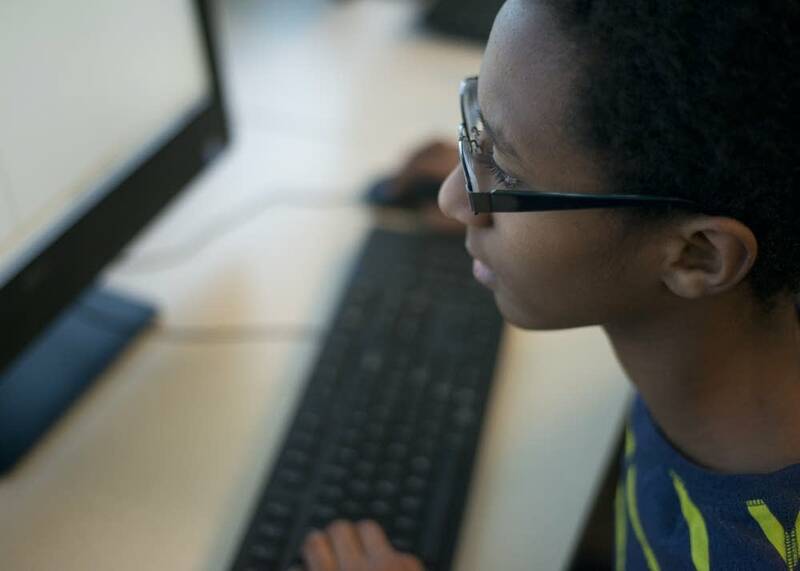 Prime Digital Academy in Bloomington is one of the so-called "coding boot camps" in the metro area. The private, for-profit school offers a chance to master essential skills in 18 grueling weeks. "We give people that rapid on-ramp into the industry, helping people move from paying to learn to getting paid to learn," said Mark Hurlburt, Prime's president and co-founder. "We work with employers from the beginning to say, 'What does a good entry-level candidate in your organization look like? What do they need to know to be effective?'" Hurlburt and his partners formed Prime about two years ago to address the tech skills gap. The instructional program is constantly tweaked to give students the skills employers want. Some students are recent high school grads, but most are college graduates with degrees and work experience outside the I.T. arena. The program costs about $12,000. Hurlburt said students find it's worth the money. "Our students that are six months out from graduation have 99 percent placement," he said. "That group of students is earning 250 percent of what they were making." The median annual pay for I.T. jobs, regardless of seniority, was more than $79,000 as of May 2014. Hurlburt would like to see more diversity among Prime's graduates. Women have accounted for about 40 percent of Prime's students, but only 15 percent have been minorities. Prime student Adia Alderson is doing her part to change the largely white, male face of the I.T. workforce. Young, black and female, she identifies with the stereotypical coder in at least one way: "I would definitely consider myself a geek." Since graduating from Champlin Park High School about five years ago, Alderson has taken some college programming courses and learned a good amount on her own. Now, she's mastering tools that can build an interactive Web application. "Mongo, Angular, Express and Node," she said. "Basically, that's all you need to create a fully functioning web application with all the interactivities you can put on it. But my strong suit is probably in databases and routing on the back end." Alderson wants to spread the word to friends and other people of color that information technology is an option for them. "A lot of the meet-ups and things I go to, you don't really see a lot of people like me," she said. "So, I like to think when people see someone like themselves in there, they think, 'OK, that could also be a career choice.'" But Alderson also says there are stereotypes in the industry to overcome. "It's this thing that if you're not a certain type, white and male, you won't be a good cultural fit for the place," she said. Yet some employers are embracing diversity. C.H. Robinson, the logistics transportation company, says it's smart to seek variety in the work and life experiences of an I.T. staff. General manager Heidi Hegenbarth said her company has recruited about a dozen employees from Prime Digital and other boot camp programs. "Diverse backgrounds are definitely a benefit in the careers that we have here," she said. In a field that demands innovation and fresh thinking, Hegenbarth said, people of different races and both genders provide valuable new perspectives. And a more diverse workforce is inevitable. As more and more baby boomers retire and workforce growth slows, employers are going to have to find more workers among the state's minority populations, which historically have had higher unemployment rates. There are a number of efforts underway in the Twin Cities to increase I.T. diversity — sooner or later. One such effort is the TechHire initiative of the city of Minneapolis. The city has partnered with Prime Digital Academy, other training programs and more than 100 regional employers to train and place nontraditional, diverse workers in software engineering and support roles. 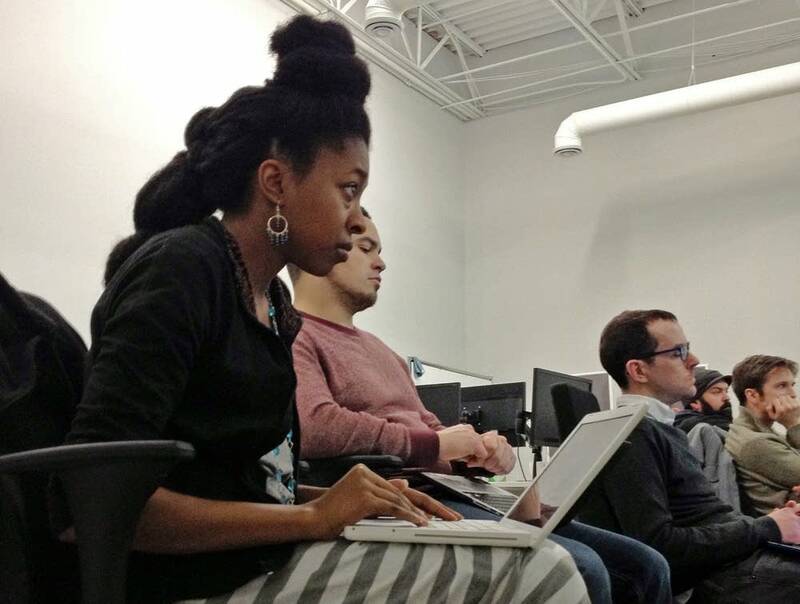 In its pilot year of 2015, Minneapolis TechHire placed 99 graduates in full-time jobs paying an average of about $46,0000. Employers hiring graduates included C.H. Robinson, Wells Fargo, Target, Allina Health and Ceridian. "This program really addresses the I.T. workforce shortage issue, said Deborah Bahr-Helgen, director of the Minneapolis Employment and Training Program. "Currently, women are making the greatest inroads. For communities of color, we have more work to do." The nonprofit Reve Academy in Minneapolis is working on getting more people of color into the I.T. pipeline. Since 2011, the organization has introduced more than 4,000 students to the I.T. world. "We're hoping that they fall in love with it and they see this as a potential future career for them," said Brad Von Bank, the academy's founder. The academy's funding partners include the Best Buy, General Mills, Carlson Family and Pohlad Family foundations. Von Bank said that investing in the students the academy serves is an investment in Minnesota's future. The first wave of academy grads is finishing college and entering the workforce, he said. "They're going to be in high demand," he predicted. "Companies are going to be competing for their services." 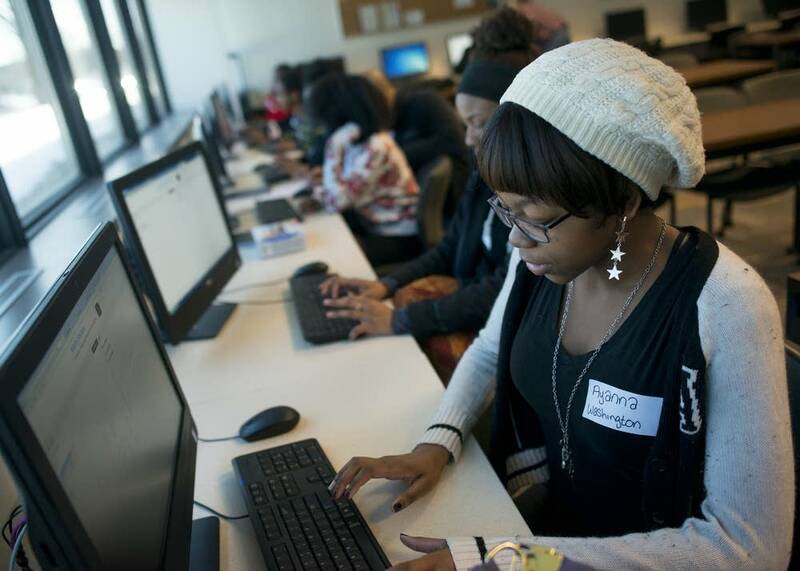 The Twin Cities chapter of the Black Data Processing Associates runs weekend programs aimed at introducing disadvantaged kids to careers in I.T. About 75 students a year go through the program. Virtually all go on to study computer science in college. "The field of I.T. 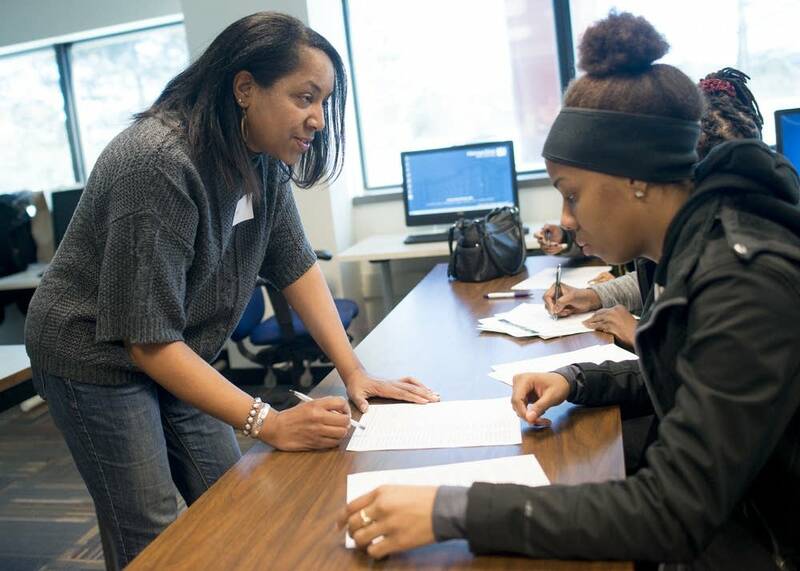 is a great field to close the employment gap in the state of Minnesota," said Frederick Blocton, BDPA's Twin Cities president and president of UpNet Client Solutions Group. He said the group gives students a space where they can be as smart as they want, free from ridicule, and learn how I.T. careers can change their lives. "These are very, very good jobs, good professional jobs to start out your career," he said. "And the upside is huge, because of the knowledge that you gain and also the access to different corporations and people. It just opens up a whole new world for these kids." And the demand for people to populate that whole new world won't slow down anytime soon.